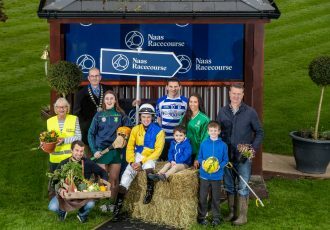 On Saturday, April 13th Naas Racecourse will host ‘under stARTers orders’, a unique public arts display and fundraising initiative. 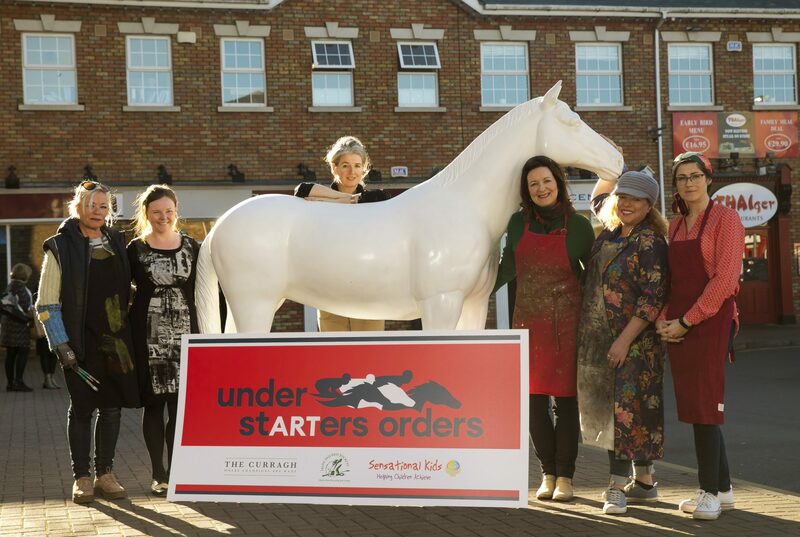 Under stARTers orders have tasked 21 of Ireland’s top equine artists to each paint their own unique version of a life-sized resin fibreglass horse sculpture. The project was established to celebrate the redevelopment of the iconic Curragh Racecourse and aims to raise much-needed funds for Kildare based charities, Irish Injured Jockeys and Sensational Kids. This will be the first and only time the entire ‘under stARTers orders’ collection will be open for public viewing, with all 21 creative pieces in situ on the day. Patrons will enjoy the chance to see the entire collection together as a ‘herd’. The first race is scheduled to go to post at 1.50pm and many of the artists will be at the track to meet the public and describe the inspiration behind their pieces. 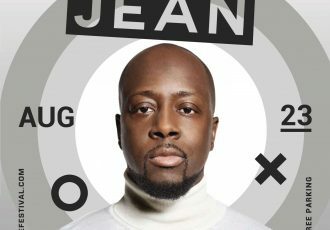 Representatives of each charity will also be on hand to discuss the project, their charities and how the whole idea came about. Most importantly prospective buyers can enjoy the opportunity to see each unique piece of art and express their interest. 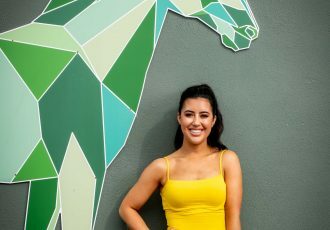 From Naas, the horses will be dispersed all over the county so that these colourfully decorated works of art can be enjoyed by the public at various trail locations around County Kildare over the coming months. A number of the horses have already been pre-sold, others are available for sale and a small selection of the collection has been earmarked for auction at the Curragh on Friday 28th of June, as part of the Dubai Duty Free Irish Derby festivities with all the proceeds raised benefiting both charities. For further information, please visit startersorders.ie. The Curragh continues to work with key stakeholders in the county on other initiatives as part of the launch of the new world-class racecourse facilities. The centrepiece of the redevelopment is the construction of a major new grandstand which incorporates five-star public and corporate facilities, restaurants, bars and spectacular viewing over the racecourse.